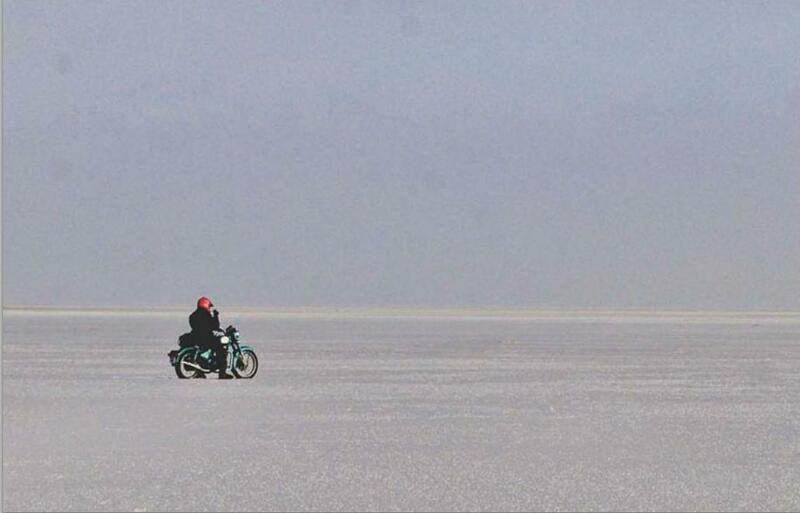 As a kid I would always feel like flying, while sitting on the petrol tank of my father’s Bullet motorcycle. That was my permanent seat on any outing. My brother, though, would be generous when he would allow me to sit at the back, when he would drive. I still remember one of the vehicle numbers — BHF/9515. Then my excitement grew leap and bounds when I graduated to the extent of starting the powerful machine… Yes, I would kick-start the Bullets every morning, with the risk of leg fracture each time. And I kept on kick-starting them without any accident every morning, and the sheer fun came to a halt only when I was sent to the boarding. Of course, my Dad and Bro would not give me the keys to kick-start the heavy bike just like that. Then I had to ensure that their machines sparkled and stood spotless when they would come down for the ride. Actually I was their ‘unpaid’ cleaner (sigh). Today, I cannot own a Bullet – (for my mother has restricted me and I can’t ask why) – but I do see every Bullet (that passes by) with a kid’s eyes and visualize as if it’s (actually) I who is riding … and I also feel the sound and the smoke from behind…. phat phat phat phat phat phat phat… with my two hands commanding the solid steel handle of the great machine. 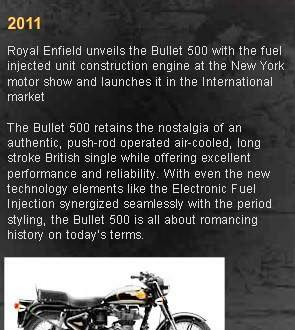 May be it’s my love (if at all it is the right word) for Bullet, that I have not been able to buy any vehicle in my life. And I do visit Bullet showrooms every now and then… window shopping… at times touching my dream machine… and then coming out, smiling. Smile, I have to. Many of my friends own the Bullet today. And that’s my only solace. The Beginning: The Enfield Cycle Company made motorcycles, bicycles, lawnmowers and stationary engines under the name Royal Enfield out of its works based at Redditch, Worcestershire. The India Connection: Royal Enfield motorcycles were being sold in India ever since 1949. In 1955, the Indian government started looking for a suitable motorcycle for its police forces and the army for patrolling duties on the country’s border. The Bullet 350 was chosen as the most suitable bike for the job. And The Journey: In 1955, the Redditch Company partnered with Madras Motors in India to form what was called ‘Enfield India’ to assemble these 350 cc Bullet motorcycle under licence in erstwhile Madras (now called Chennai). 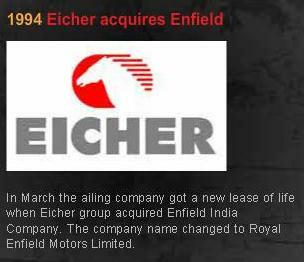 In 1990, Enfield India entered into a strategic alliance with the Eicher Group, and later merged with it in 1994. 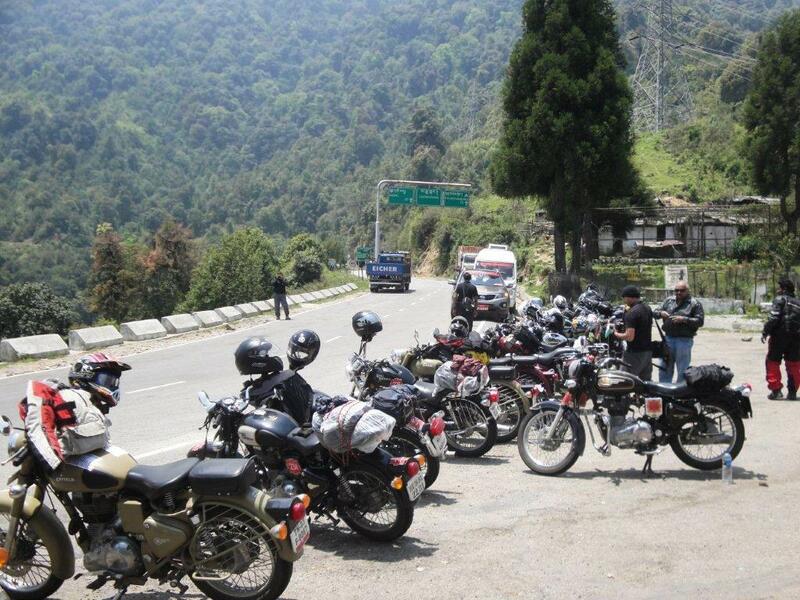 It was during this merger that the name Enfield India changed to Royal Enfield. The Eicher Group is one of India’s leading automotive groups with diversified interests in the manufacture of Tractors, Commercial Vehicles, Automotive Gears, Exports, Garments, Management Consultancy and Motorcycles. Since then, the Company has made considerable investments in modernizing its manufacturing technology and systems. In 1996, when the Government decided to impose stringent norms for emission Royal Enfield was the first motorcycle manufacturer to comply, a tradition which has stuck on thus making emission norms being one of the most important factors the company focuses on. As I always say…..Hold on to your dreams…. Hold on buddy.. Thank you so so much. I am so happy to read your comments. Thanks again. I too love the bike… which I used for about 15 years…. and now I feel sad that I sold my 77 model bullet. But, I feel the change of brake from left to right has taken off the uniqueness of the bike… However, I love it..
Bullet has a bullet effect..do agree with you Neeraj. Just got a chance to see Harley Davidson….a massive machine..with lovely sound.